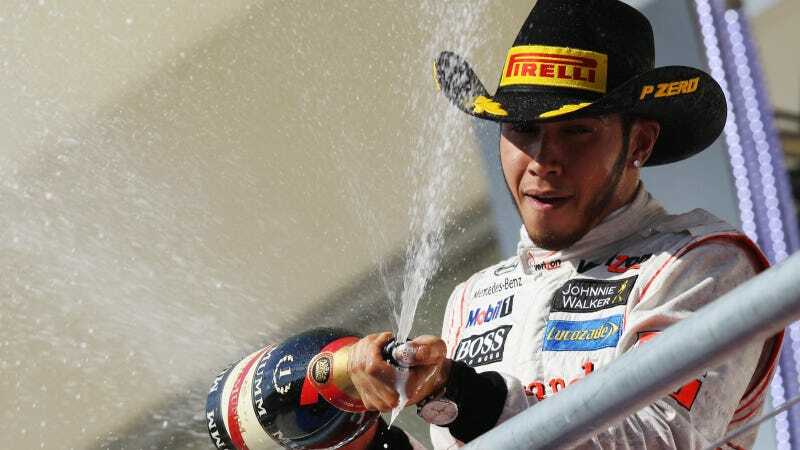 The continuing horror that is Formula One World Champion Lewis Hamilton’s music career: he has forced Drake, Pharrell, and Timbaland to listen to his upcoming song about his ex-girlfriend Nicole Scherzinger. Scherzinger, who was in that one band that one time, broke up with Hamilton after a seven year one again off again relationship. This inspired Hamilton to pen a new song about her. How did he do it? Here’s what he said to BT Sport, as Hello! Magazine reports. I actually built the studio in my house for someone else and ended up using it. I built it so we could be in the same place all the time… but now I use it all the time instead. Rather than listen to his music once and then destroy it, Lewis plans to subject the world to its terror. He started big. I have played it for Pharrell Williams as well as Timbaland and Drake because I want feedback from as many people as possible. Please keep Drake, Pharrell, and Timbaland in your prayers.